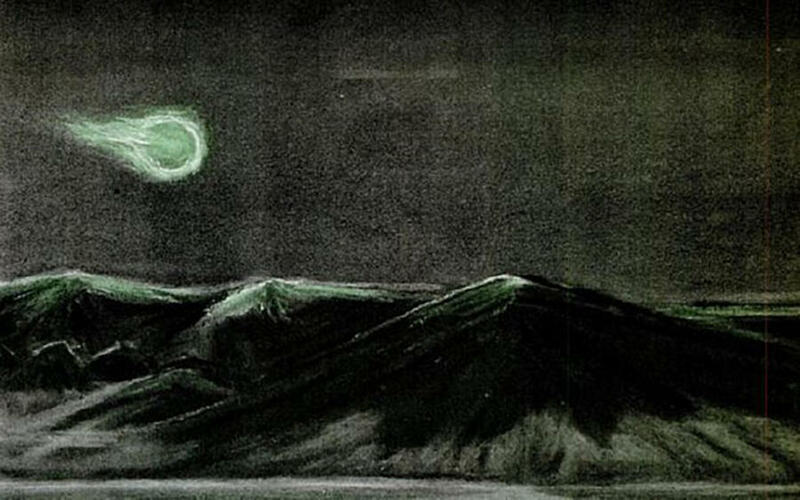 ABOVE – – A painting by Mrs. Lincoln LaPaz of a baffling green fireball seen numerous times over the Sandia mountains east of Albuquerque in late 1952. Mrs. LaPaz’s husband, head of the University of New Mexico’s Institute of Meteoritics, investigated the sightings but couldn’t find an explanation. The painting was published in TIME Magazine in November 1951 and in LIFE magazine a few months later, an illustration of the nation’s Cold War obsession with UFOs. In fact, a great many had, and would continue to do so – – enough to prompt TIME magazine, in November 1951, to publish a piece on the phenomenon called “Great Balls of Fire.” What makes the multiple sightings of “flying green lights” in New Mexico in 1948 and onward such a significant chapter in UFO history is exactly that – – there were multiple sightings. That was unnerving enough. 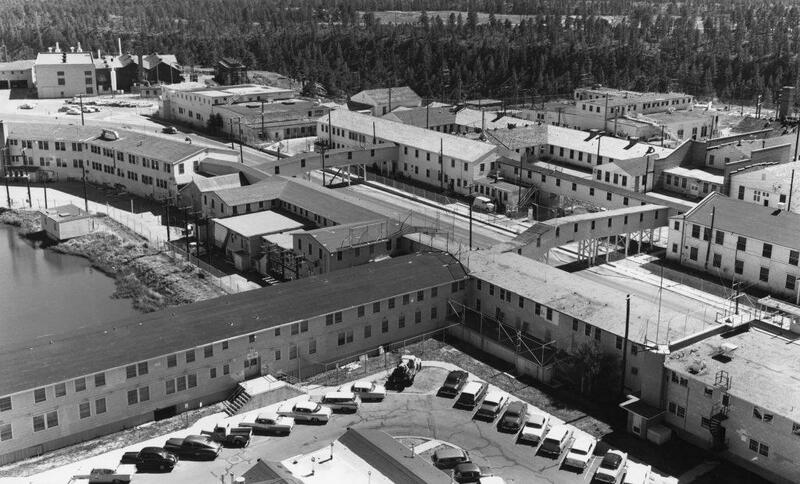 But most alarming – – particularly to the United States government – – was that the sightings were concentrated around the Los Alamos and Sandia atomic-weapons laboratories. And other highly sensitive military installations, including radar stations and fighter-interceptor bases, weren’t far away. That meant the sightings were reported by typically cool-headed pilots, weather observers, scientists, intelligence officers and other defense personnel, and led many to suspect the fireballs were Soviet spy devices. On the night of December 5, 1948, two separate plane crews reported having seen a “green ball of fire,” heading west to east. In one of these instances, the fireball raced head-on toward the plane itself, compelling the rattled pilot to swerve the plane out of the way. When a crew of intelligence officers, led by Dr. Lincoln LaPaz, head of the University of New Mexico’s Institute of Meteoritics, plotted the fireball’s flight path and scoured the area a meteorite would have hit, they found nothing – – no meteor fragments, no debris, no craters, no evidence of fire. An alternate form of lightning? The phenomenon came to the attention of the Australian physicist Dr. Stephen Hughes in 2006, when several green fireballs were spotted in the sky in Queensland and New Zealand. “I came to the conclusion that there was something a bit strange going on,” he says. Hughes went on to write a paper that theorized a possible connection between green fireballs and the well-documented, but still ultimately little – understood, phenomenon of ball lightning – – mysterious hovering orbs of electricity that have only been taken seriously by science since the 1960s, well after the New Mexico sightings. There is still no conclusive theory of what ball lightning is, but hypotheses include antimatter, light bubbles, microwave interference, retinal after-images, electromagnetic knots, even primordial black holes. The phosphorescent green color, Dr. Hughes says, is due to ionized oxygen, which also accounts for the striking greens of the aurora borealis, also known as the Northern lights. Cold War spy craft…or extraterrestrial probes? This potential explanation could not have occurred to those on the ground in New Mexico in 1948. After interviewing more than a hundred witnesses, Dr. LaPaz went on to advise the military and the Atomic Energy Commission of his opinion that the fireballs were likely either top-secret “unconventional defensive devices” being tested by the U.S. – – or Soviet spying devices. When Edward J. Ruppelt, director of the U.S. Air Force Project Blue Book UFO investigations, visited the Los Alamos National Laboratory in early 1952 to interview scientists and technicians, he noted that they became particularly animated when the idea of interplanetary vehicles was suggested. Officially, government investigators concluded that the green fireballs were some kind of never-before-seen natural phenomenon. Interest in, and investigation into, the fireballs dropped off at the outbreak of the Korean War. But that hasn’t stopped UFO researchers from speculating more recently. In his 2008 book UFO and Nukes: Extraordinary Encounters at Nuclear Weapons Sites, Robert Hastings, drawing on declassified official documents, suggests that the fireball trajectories align with those of fallout-debris clouds associated with top-secret atomic testing. But according to Dr. Hughes, there’s another reason to suspect those green fireballs were buoyant balls of plasma: All those unpredictable movements, which suggest their paths may have been following electric field lines above the Earth. “Personally, I think that the erratic change in direction is reasonably conclusive proof that the phenomenon is electrical in nature,” says Dr. Hughes, citing the more familiar sharp angles of a lightning bolt streaking through the sky. Still, at this stage, it’s hard to shake the sense that equating the green fireballs with ball lightning is tantamount to explaining a mystery with another mystery. A notorious conspiracy theorist searches for the hidden plan behind world events and his own existence in this revealing, claustrophobic biography. Journalist Jacobson (THE LAMPSHADE) explores the bumpy life of William Cooper, an influential conspiracist – he popularized the term “sheeple” – whose radio show THE HOUR OF THE TIME and bestselling book BEHOLD A PALE HORSE found fans as diverse as Oklahoma City bomber Timothy McVeigh and rappers the Wu-Tang Clan. Jacobson follows Cooper’s convoluted theories about such subjects as UFOs and the perpetrators of the 9/11 attacks; his great project was the unmasking of a “Luciferian” conspiracy, involving powerful groups from the Illuminati to the Clinton administration, that he believed was creating systemic shocks such as price hikes and staged terrorist attacks to impose an invisible but totalitarian mind-control regime. In counterpoint to Cooper’s grand theory of everything is Jacobson’s picaresque account of Cooper’s chaotic personal life, full of abusive behavior, familial estrangement, and professional feuding, with a violent ending – – he was killed in a shoot-out with sheriff’s deputies at his Arizona home in 2001 – – brought on largely by his own paranoia. 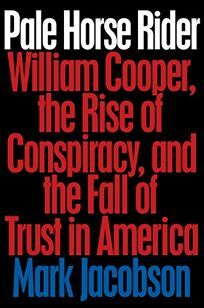 Jacobson’s narrative is poker-faced about Cooper’s unorthodox beliefs but sympathetic towards the yearnings behind them and infused with colorful reportage on conspiracists. The result is an enthralling portrait of a dark but potent strain in American culture. This book will be available at bookstores nationwide on September 4, 2018. For too long, Japan has endured continual harassment from North Korea and even from Red China which keeps harping endlessly on Japan’s past atrocities in World War II. What Japan had done even way before World War II was illegal, i.e., the annexation of Taiwan in 1895 as well as the annexation of the Korean peninsula in 1910. Those atrocious acts as well as illegal acts will never ever be forgotten by those who had suffered from the Japanese military. And rightly so, even though Japan has many times profusely apologized and compensated sufficiently with economic grants and assistance for all its past atrocities it committed especially during World War II. But it is very important to face reality now. We now live in a different era. We live in the present, and not in the past. A few years ago, North Korea test-flew its missile brazenly over Japan’s airspace. North Korea also had snuck past Japan’s maritime boundary line and abducted its citizens. North Korea still refuses to publicly admit its criminal conduct and to properly disclose the whereabouts of the abductees. It’s about time that Japan re-arm itself and join the ranks of adult nations that have proper and sufficient defense capabilities. It’s about time that Japan scrap its outdated Constitution which was imposed upon immediately after World War II and begin to arm itself sufficiently and assume more responsibility in this new century, lessening the burden for the U.S.
For too long, Japan has been seen simply as an economic monster whose sole interest was in becoming a dominant economic power. With the creation of a respectable military, the defense industry of Japan will create more job opportunities for the people. It will be beneficial for the youths of Japan who seem to live today with hardly any sense of national pride or identity. Times are changing. We cannot eternally go on living with a World War II mindset. I fully support the creation of a full-fledged Japanese Army, Navy and Air Force that could defend on its own from such as North Korea. The days of restrained Self-Defense Forces of Japan must come to an end. I believe in a stronger Japan that will take more responsiblity than just concentrating on economic interests. Japan should no longer kowtow to the harassment from North Korea or Red China. Japan should re-arm itself fully so that it could, on its own, completely defend itself from any threats. This is the only way to gain back respect. This does not mean that Japan will revert itself back to the World War II mentality to dominate Asia. It will never ever happen. Japan learned its lessons fully. But first, Japan needs a strong leader who will be brave enough to disassociate himself with the controversial Yasukuni Shrine which became a burial site for past Japanese war criminals and which has virtually become a hated symbol of Japanese military atrocities, rightfully despised by many in Asia. It is my sincere hope that such a brave leader will appear in Japan in the near future. 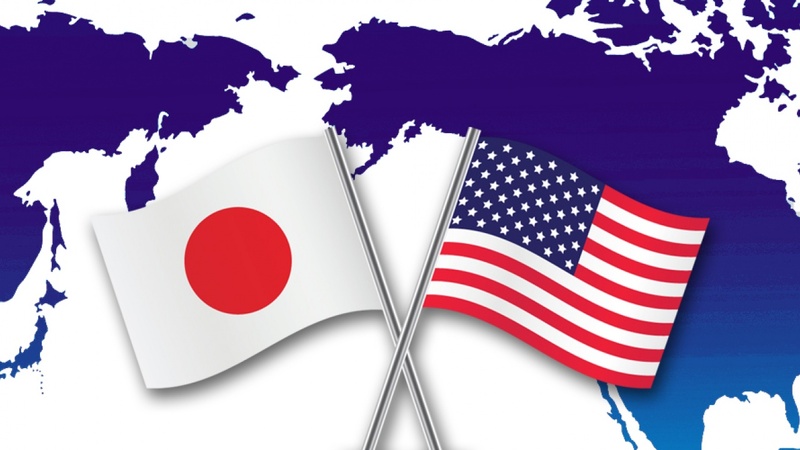 In the meantime, a strong U.S. – Japan bilateral relationship must continue. Japan, South Korea, Taiwan, Singapore and other Southeast Asian nations, together with the U.S., should work together politically and militarily to strengthen the defense of Asia from any rogue nations or any global terrorist groups and help consolidate the stability, peace and guarantee of democracy in Asia.